Publisher's blurb: "This lavishly illustrated 96-page book gives roleplaying game fans a unique, behind-the-curtain glimpse into the making of the Dungeons & Dragons roleplaying game. The book contains essays and asides from the game's premier designers, developers, and editors. 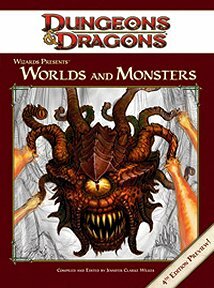 Through words and illustrations, it explores some of the D&D game's most iconic locations and monsters, sharing insights never before revealed in any previous game product."